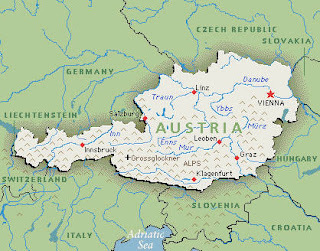 I’m off again, this time to Austria on a trip hosted by the Austrian Wine Marketing Board. Between Wednesday and Sunday of this week, I’ll be attending seminars, tastings, vineyard and winery tours, and restaurants throughout Austria’s major wine regions. And, of course, I’ll be taking both tasting notes and making videos while I’m gone. It should be an amazing experience, and I expect to have some great information to share with you here when I return. But after all the Internet drama I experienced in France and Scotland a couple of weeks ago—if you missed it, I had to camp out at a McDonald’s one night in Bordeaux and use their Internet connection—I’ll be taking precautions this time. You’ll notice that most of my blog posts this week will be stamped with the same date—June 8th. That’s because I have already written several of them and saved them onto our system here, with the idea that my wife will simply hit the “Post” button while I’m gone. This way, you’ll still be able to check back throughout the week to get fresh wine news, reviews, and info while I’m in Austria, and I won’t have to go crazy if my hotel rooms don’t have great Internet connections. Of course, if I do have good Internet, then I will definitely post from Austria. But a backup plan is in place. Either way, the point is this: Keep checking back this week for updated posts, whether they’re coming from this side of the ocean or the other one. And, upon my return next Monday, start looking for updates and videos from this most recent trip, as well as tasting notes on what I expect will be more Zweigelt, Blaufrankisch, St. Laurent, Gruner Veltliner, and Riesling than I’ve ever tasted before. My teeth are turning purple just thinking about it.